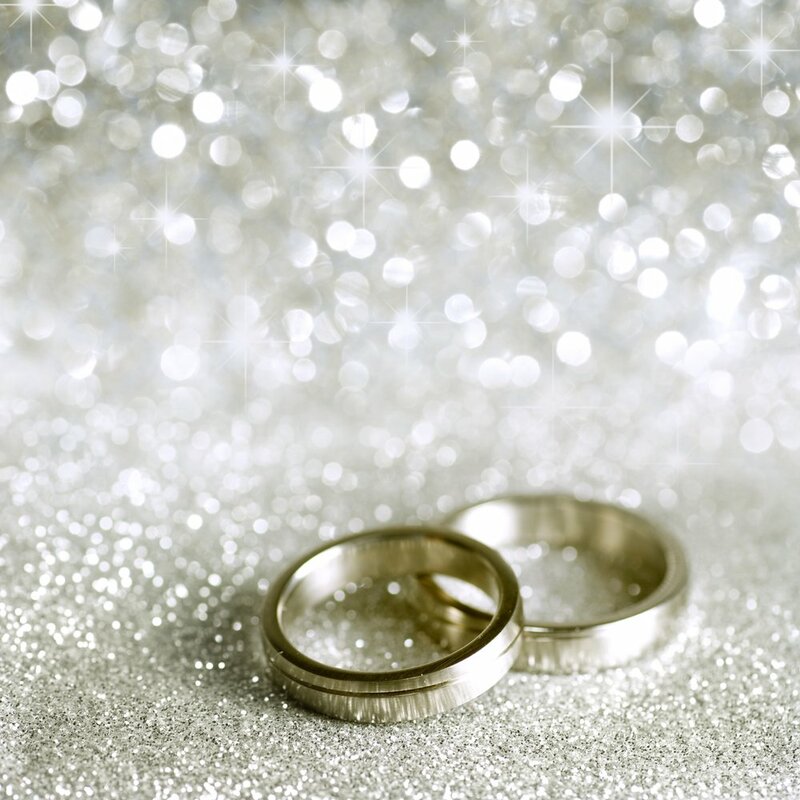 A wedding ring is a symbol of the love and commitment binding a marriage. 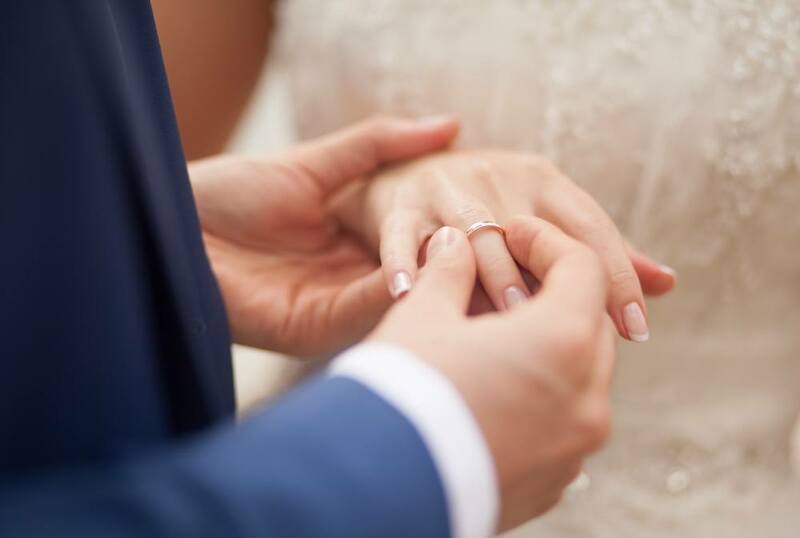 The one piece of jewelry meant to last a couple’s lifetime and perhaps be passed down to children or grandchildren, wedding bands are sacred reminders and cherished heirlooms. Wedding bands represent the unique love of the couple as much as the vows themselves. A wedding band—and the promise it holds in its unbreakable circle—becomes part of the wearer. The hand molds to the significant presence, and to be without the ring often feels like being naked. Couples must select rings that they will wear for a lifetime of marriage. Second only to a traditional diamond engagement ring, wedding bands are one of the most meaningful pieces of jewelry a couple will own, and they are an extremely personal investment. 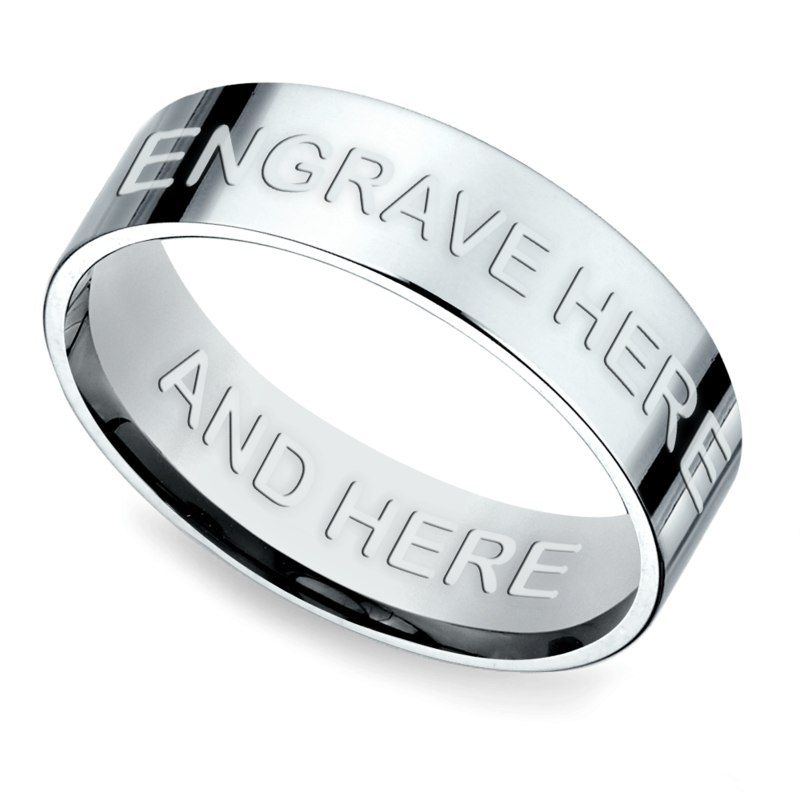 Couples wishing to reflect this significance should select a unique, personalized set of bands. Every couple prizes something different in their vows, their relationship and their rings. Selecting personalized wedding bands isn’t like shopping for china patterns. One size, or design, does not fit all. Many couples find their source of inspiration from the divine. Each and every religion seals marriages in uniquely beautiful ways. Quotes or scripture verses pulled from religious texts and teachings may be engraved or carved into bands magnifying the spiritual significance. Couples may choose to pull an entire verse or a singular significant word for their bands. 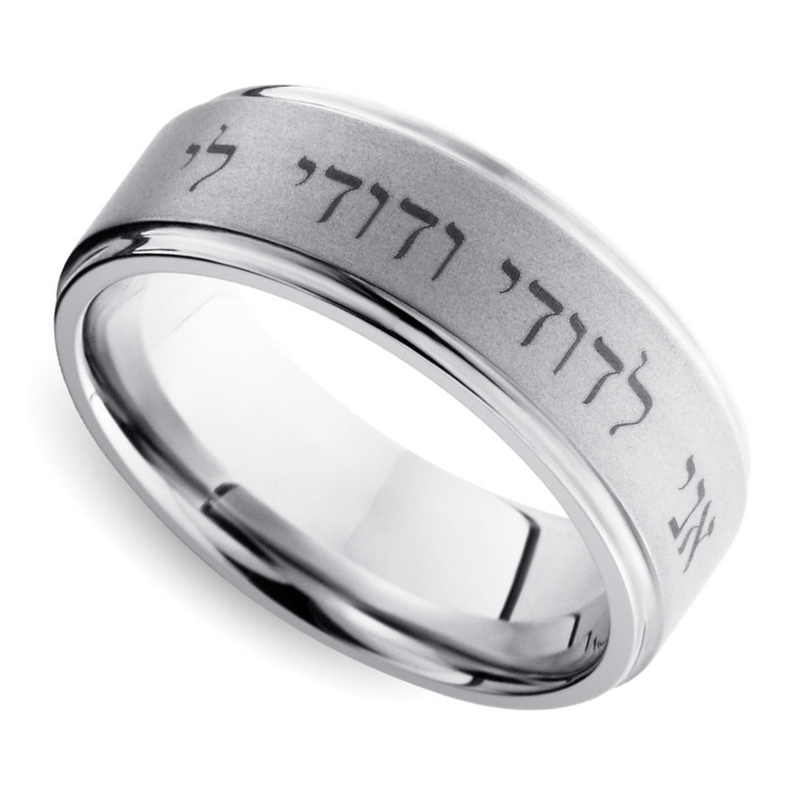 Scriptures written in Hebrew and quoted from “The Song of Solomon” remain a popular choice for sacred scripts used for wedding bands. 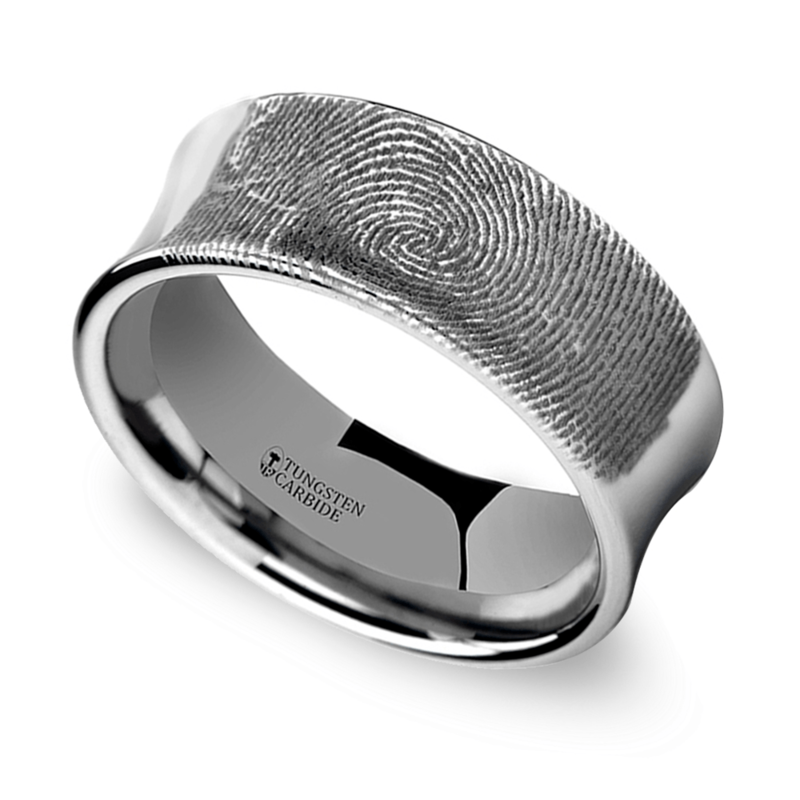 Wedding band designs can be imprinted with molds of the couple’s fingerprints to create a truly one-of-a-kind symbol of unity. 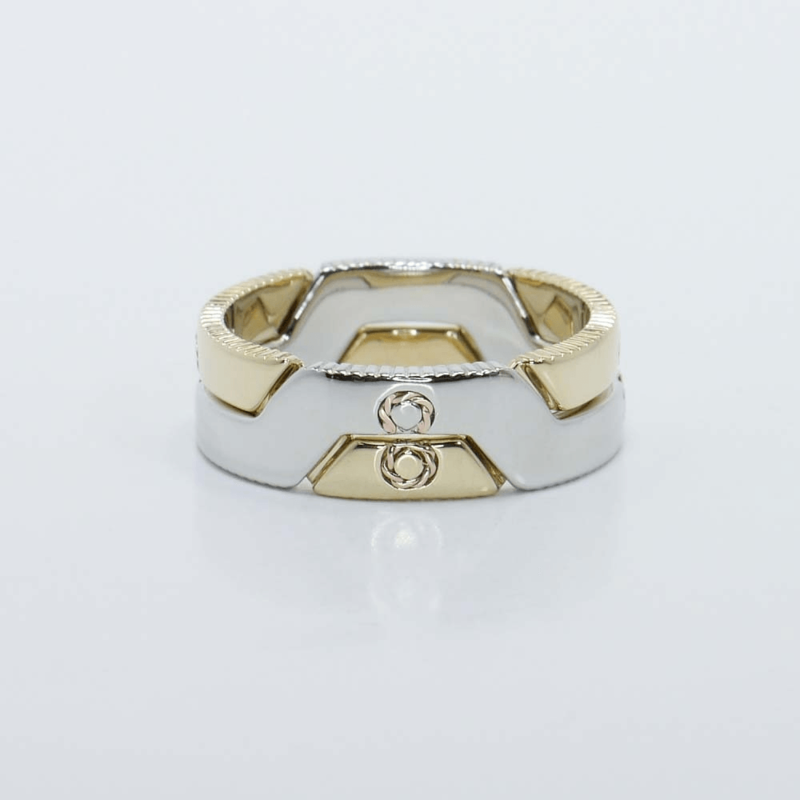 Rings imprinted with the couple’s prints may be cast in alternative metals, like tungsten and cobalt, or precious metals, such as gold and platinum. Fingerprints may stand alone or become part of a more complex design, like an inlay in a contrasting metal. Choosing to incorporate a birthstone in the bands provides a subtle but sweet significance to the set. 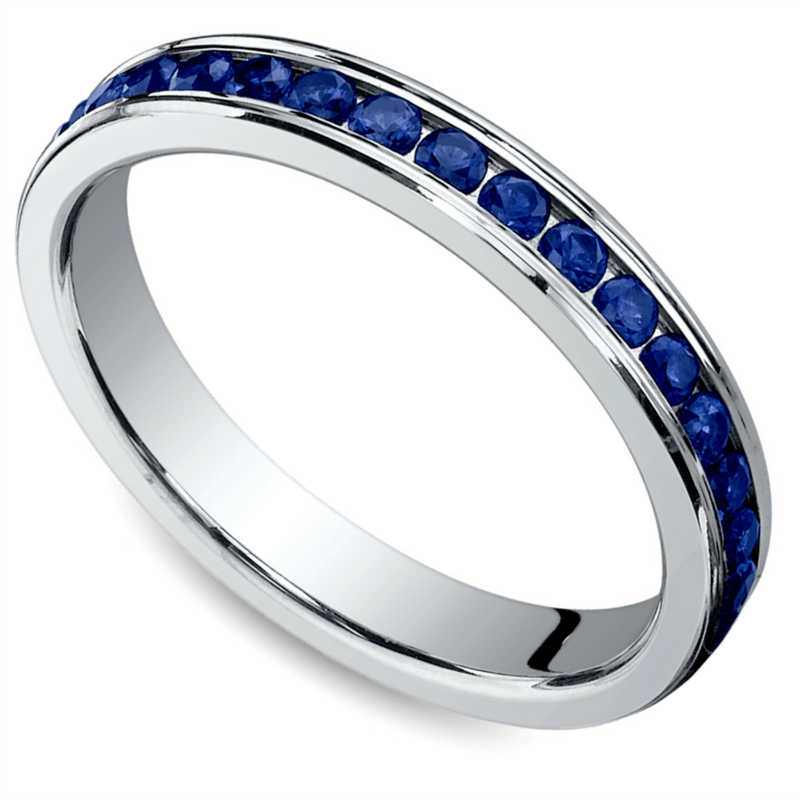 The gemstone symbolizing the month of the wedding also could be used in each ring for a shared, personalized emblem. For brides who opt for opulence, select an eternity design that features gemstones encircling the entire ring or that alternates between diamonds and the chosen gemstone. If either spouse already has children, incorporating their birthstones is a great way to show that they are included in the new relationship. The couple’s monogram becomes their marital seal. Creating rings that bear the new personalized monogram shows sophisticated symbolism. Monograms may be nestled between diamonds or stand alone. Choose an elegant cursive script for traditional charm or a contemporary serif font to channel a more modern design. The detail can be placed front and center, or incorporated more subtly on the inside or bottom of the bands. Many brides and grooms insist on designing their own bands. Custom made wedding bands ensure a completely unique, never-before-seen design. If the mind can dream it, Brilliance can design it. From uniquely inspired Art Deco pieces to simple delicate configurations of celtic knots, each custom piece is suited to the couple’s taste and personality. No matter what wedding set a couple selects as a symbol of their vows, a wedding band is forever. A wedding ring becomes a part of the couple, a physical imprint of the vows it represents. The band, like the bond, is everlasting Brilliance.